Splice Integration & Limited Time Promotion! 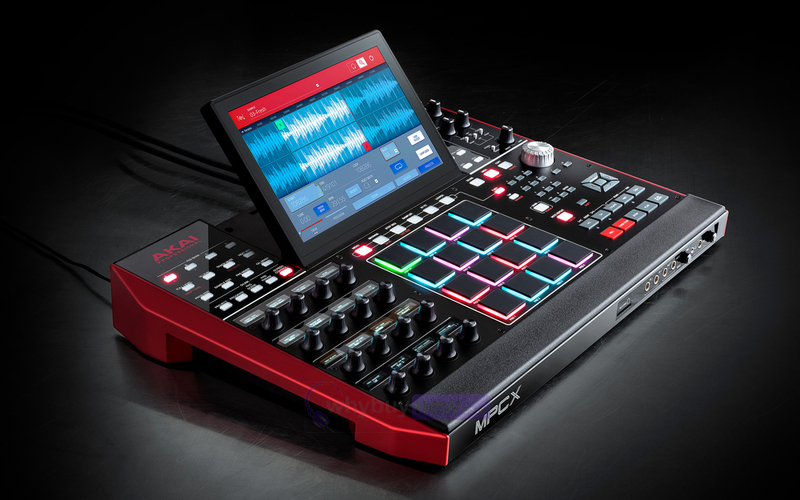 The Akai MPC X is a standalone beat production machine with a 10.1" multi-touch display, 16 touch-capacitive Q-Links controls with OLED displays, 16 velocity and pressure sensitive RGB pads and 16GB of internal storage. 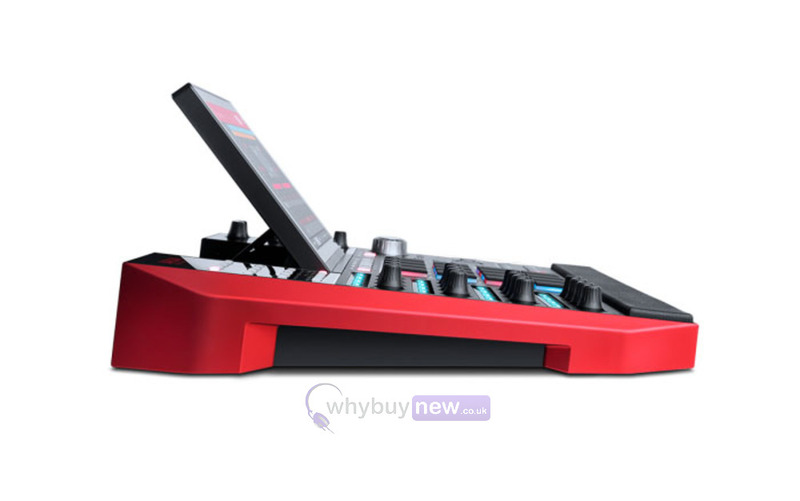 It also acts as a control surface for MPC 2.0 software. The X is a standalone MPC featuring a beautiful, full colour 10.1" multi-touch screen, 16 amazingly responsive, velocity and pressure sensitive RGB pads and packs 16GB of internal storage. 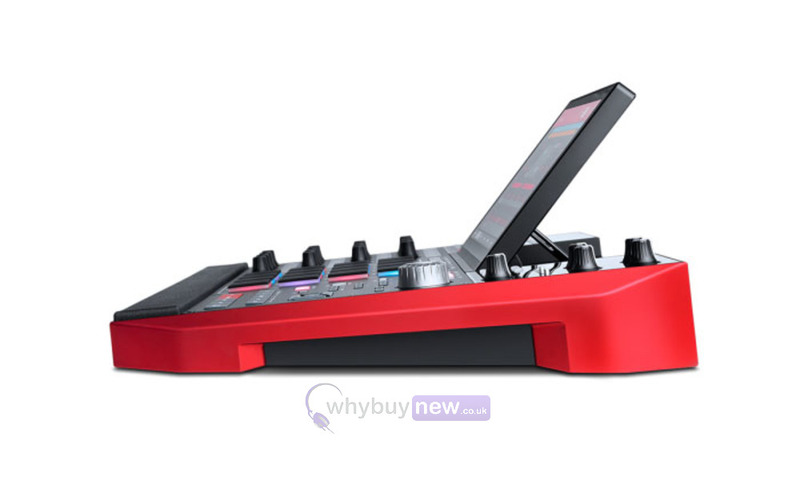 To make it a truly untethered, computer-free experience, the X also features two USB slots that can be used for MIDI controller connectivity. Rounding out the controls are dedicated menu buttons, a large master encoder knob and 16 touch-sensitive 360º assignable pots (Q-Links) with OLED displays, perfect for precisely automating individual parameters and delivering expressively nuanced recordings. 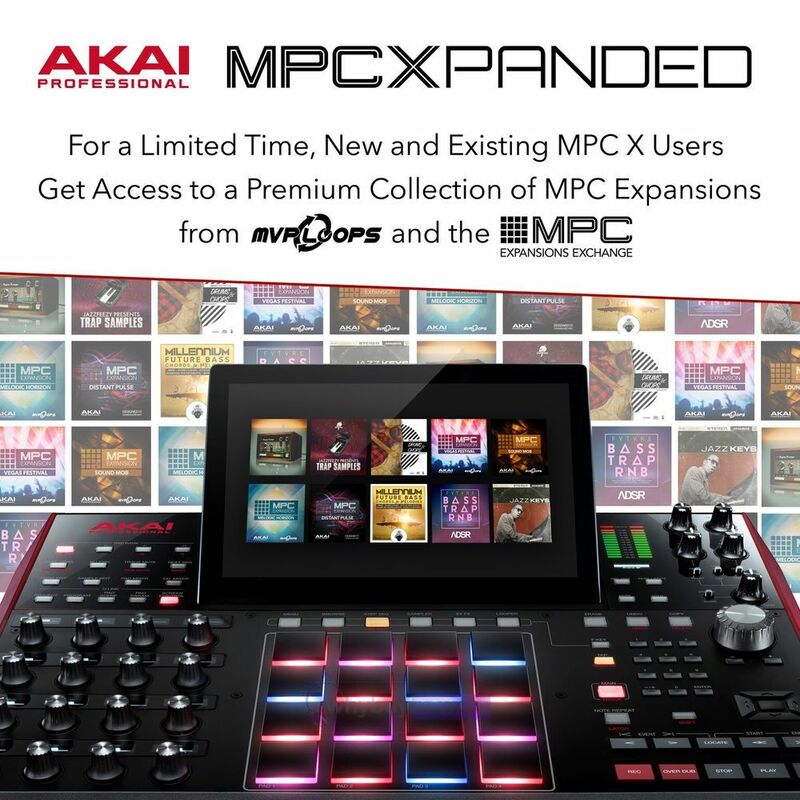 Powering the mighty X is MPC 2.0, Akai Professional's new update to the MPC software. Capable of running natively on the MPC X in standalone mode, MPC 2.0 can also be run from a Mac or PC with the X tethered to a computer. A number of major workflow enhancements have been added to 2.0, including: audio track recording, an improved time warp algorithm, refined Q-Link control, audio and MIDI drag and drop - all appearing on a new graphical interface. Future versions will support Ableton Link. The MPC has a well-earned reputation for sounds that hit hard and sound great, right out of the box. The X is no exception. Pre-installed with 10 gigs of world-class sounds, The Vault 2.0 features samples and kits from top-notch sound design companies including MVP Loops, CR2 Records, as well as our own radio-ready kits. Want to incorporate your own samples without tethering to a computer? The X features a 2.5" SATA drive connector providing more storage via external hard drive - SSD or HDD. Additionally, sounds can be accessed and added to the library using the built-in SD Card slot or the USB thumb drive. 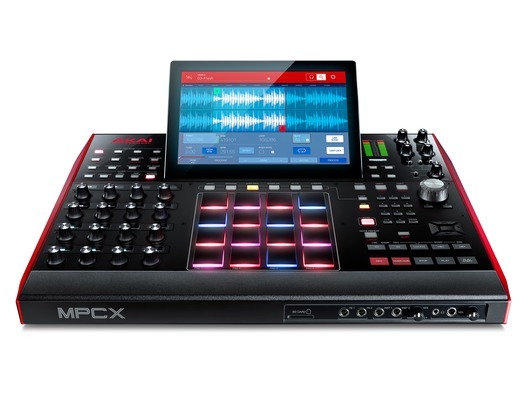 The MPC X has a number of additional features that make it the most powerful standalone music production tool to date. Onboard CV/Gate outputs enable the analog control of modular gear such as classic synths and drum machines. For the vinyl junkies, two RCA phono inputs with RIAA preamp have been included to ensure the right levels are coming into the X directly from your turntable. The joy of sampling vinyl is at the core of what made the classic MPC workflow legendary. 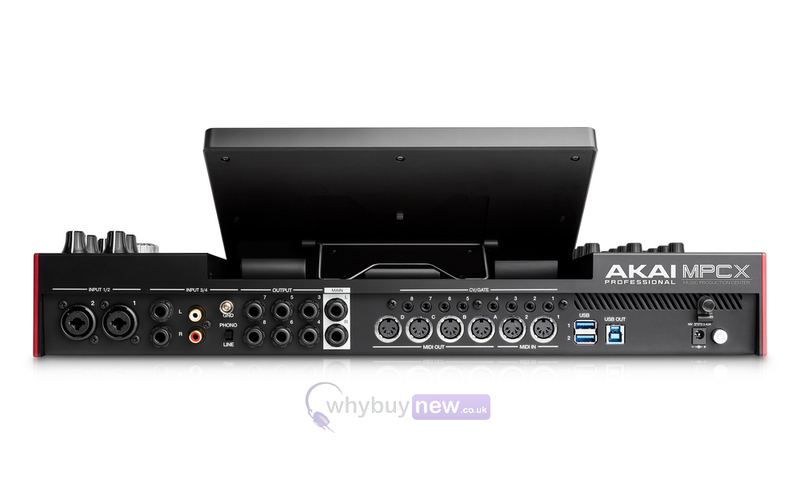 Akai have stayed true to their roots while simultaneously improving the sound and stability of the sampling process. The standalone MPC Live / X and the desktop software now contain three plugin instruments, AIR TubeSynth, Bassline and Electric. The TubeSynth emulates the sound of classic vintage analog poly-synths packaged with five integrated AIR effects. The instrument is created by AIR and is based on the same advanced analog modelling technology found in their highly acclaimed desktop plugin synth Vacuum Pro. The layout has been carefully designed for easy tweak-ability via the MPC Q-Links. The TubeSynth comes packaged with a comprehensive factory library of cutting edge presets including sumptuous pads, hard hitting plucks, thunderous basses and screaming lead sounds. 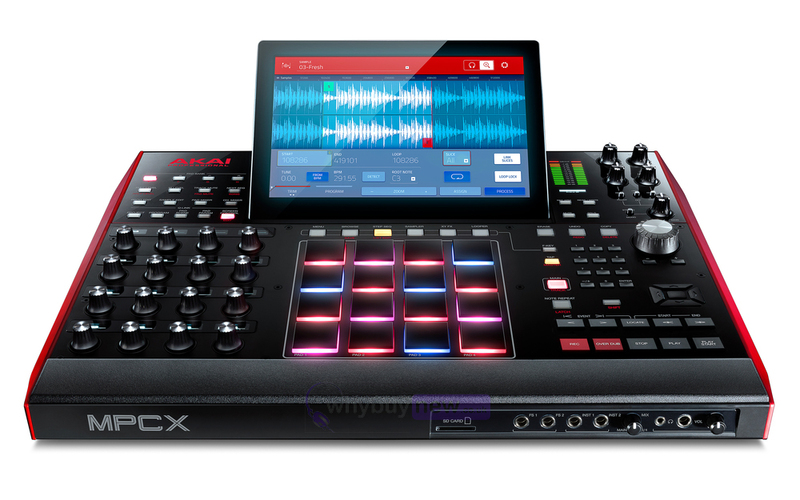 Here we have the Akai MPC X in brand new condition and in B-Stock. The B-Stock versions would have been on display at a training evening or trade exhibition only and will come boxed 'as new' with all accessories and a 1-year warranty. Two different unison engines offer extended possibilities for thickening the timbre of any patch. Doubling thickens any patch by creating a detuned copy of the original. Where as the Oscillator 1 Quad section is perfect for creating powerful Supersaw and other unison waveforms from a single oscillator. Customize the harmonic content of Oscillator 2 using the voice-level EQ and Drive parameters. Go to Oscillator 2 and set it to Saw, Oscillator 2 Keytrack to 100 %, and Oscillator 2 EQ Frequency to around 88hz. Now increase the Oscillator 2 EQ Gain, this will boost the fundamental harmonic of each voice, thickening the sound. Decreasing the Oscillator 2 EQ Gain value will decrease the amplitude of the fundamental harmonic creating a thinner timbre. Experiment with different Oscillator 2 Frequency values to accentuate different harmonics. Envelopes are included for Filter and Amp, with a third specialist ramp envelope that can be assigned to different modulation destinations. Explore a wide range of timbral possibilities with the Oscillator sections Ring Modulation parameter. The amount of Ring Modulation can be modulated by LFO 2, which can be perfect for continuously evolving pad sounds. Ring Modulation can also be assigned to the Mod section as a Destination. Almost 300 patches provide a wide selection of Synth, Lead, Pluck, Pad, Bass, Organ and FX presets.